Shimla: Supporting Union Government decision of demonetization and ensuring smooth implementation of cashless transactions among the general public, the universities in the state are preparing a plan to encourage students, employees and colleges to go for cashless transactions and also to create awareness among the people regarding digital ways to make payments. Governor Acharya Devvrat today chaired a special meeting of vice-chancellors of all universities in Government and private sector in the state and asked them to encourage cashless transactions in their institutions. Senior officers of leading banks also attended the meeting. Hailing the Prime Minister Narender Modi’s decision of demonetization of 1000 and 500 currency notes bold and historic and asked general public to cooperate Govt in this mission. The Governor asked Educational Institutes to ensure cashless transaction through debit or credit cards, online transfers, RTGS, cheques etc. Teaching faculties, staff and students should know how to use mobile technology to carry out digital transactions which was safe and secure, he added. He added that mobile banking and e- wallet when adopted would benefit individuals as they would not need to carry cash. He said that there were many ways of serving the nation and adopting cashless system was also service to the nation. 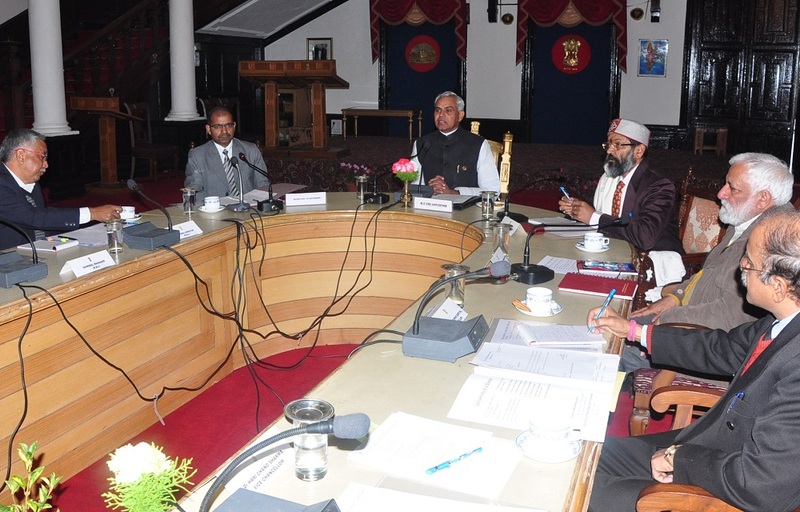 The Governor informed that on 17 December a training workshop of toppers of HP University, Shimla would be organized at Rajbhawan with the help of bankers where technical experts would provide knowledge of cashless technique. Similar workshops would also be followed in other universities and after that awareness programme adopted in colleges so that the state could emerge first in the country for adopting complete cashless transactions in educational institutions.